Loloi Area Rug, Barcelona Shag BS01 Twilight 3'9" x 5'6"
In the heart of the night. Introduce captivating color to your floors with this ultra-soft and slightly shimmering Barcelona shag rug from Loloi. 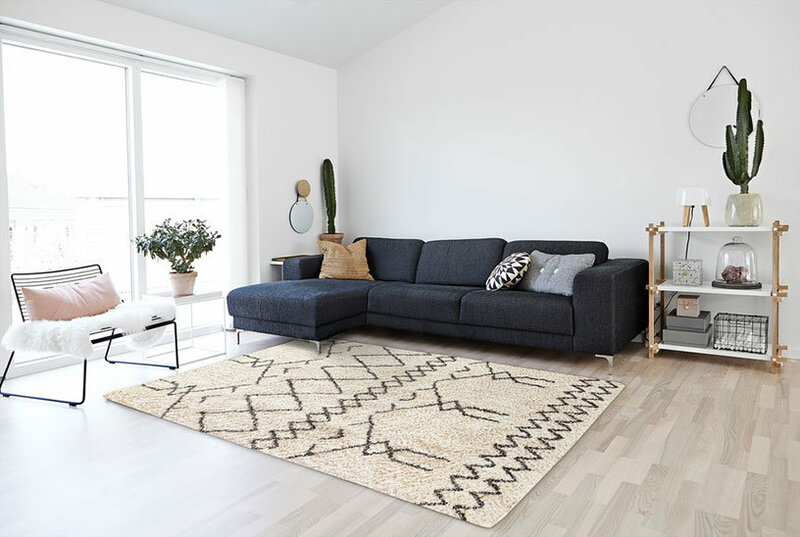 Make a strong textural and visual impact with the vibrant reds, oranges and yellows of this ultra-soft and slightly shimmering shag rug from Loloi. Mainstays Diamond Olefin Area Rug, Black, 3'9" x 5'6"